When we woke up this morning Denmark was all covered in snow. 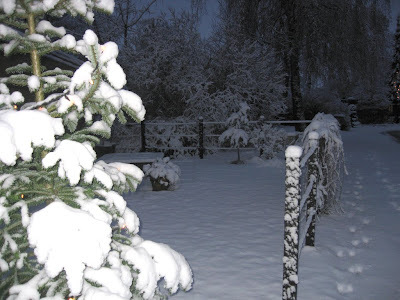 It is all white outside - it looks SO BEAUTIFUL, and really gets the Christmas spirit going! These days people from all over the world are gathered in Copenhagen to come up with solutions to stop global warming. We cross our fingers that they come to an agreement and make sure that we will be able to see fascinating scenery like this in the future.